Happy Wednesday!! I am so happy to share this beautiful April vineyard wedding! Beth and Nick were married in front of the vineyard of Valenzano Winery in Shamong, NJ surrounded by their family and friends. 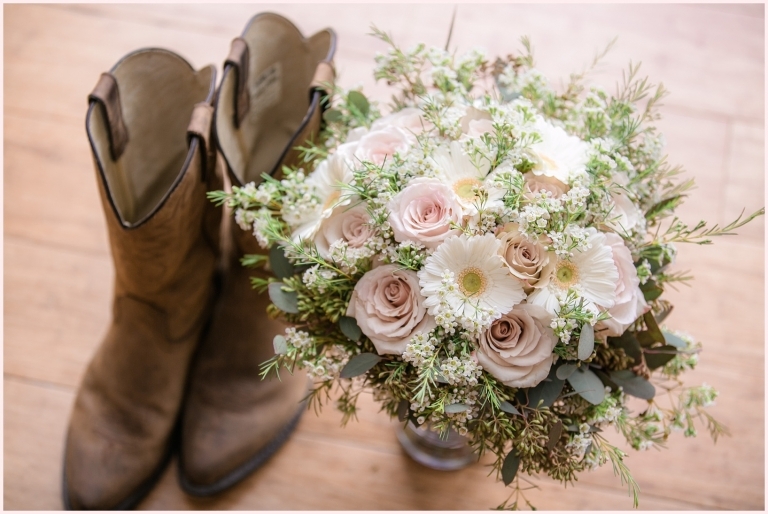 Beth’s flowers were absolutely gorgeous and her cowgirl boots finished off her style perfectly…. and you have to see the sweet photos of Nick and his little girl!! Both Nick and Beth were cool and relaxed the whole day, just wanting to enjoy the moment with everyone and have a blast! We truly enjoyed being part of their April wedding day and we wish them a lifetime of happiness <3 Congratulations Nick and Beth! We love you guys! Read about our latest weddings, engagements, and other fun things going on. There are some sweet love stories to check out!